STeP-IN Forum has benefited more than 50,000 test professionals, managers, architects, Vice Presidents and CXOs through a variety of conferences, tutorials, evening talks and webinars. Over the years, STeP-IN has produced a dozen software testing conferences and 9 themed events across different locations in India. 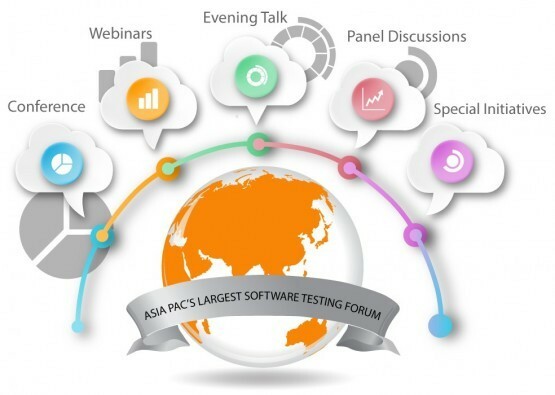 The Annual STeP-IN SUMMIT has grown to be one of the largest Testing Conferences in the Asia-Pacific Region. 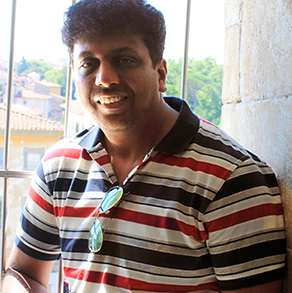 Vipul is a co-founder of SALT and Verity software and President of Indian Testing Board, the ISTQB board for India. Prior to that he co-founded and ran PureTesting, a very successful testing services company. He has over 20 years of testing experience including managing Adobe Reader testing. He has worked for a number of reputed companies such as Adobe Systems, Aplion Networks and River Run Software Group. He has managed testing for various award-winning products such as Adobe Reader for multiple platforms, routers and network management products, mail and database access products for mobile devices and desktops amongst others. He has won several awards including the best paper award at STAREast 2006 and the Logica CMG Triple Star Award for the most original contribution at EuroStar 2005. He has been a Keynote speaker at many testing conferences in the USA, Europe, Asia and Australia-New Zealand. He has been a contributor to the ISTQB FL and AL syllabi as well. He holds a Bachelors Degree in Electrical Engineering and Masters Degree in Computer Engineering from IIT, Delhi. 17+ years of experience in the IT industry. Having worked in diverse industries, ranging from Financial Services and Insurance to Health Care, Raj is currently building wearable devices with a vision to humanize technology and transform the way we interact in the IOT world today. Prior to launching Hug Innovations, Raj has led large IT Services organizations that specialized in Software Quality Assurance Services. 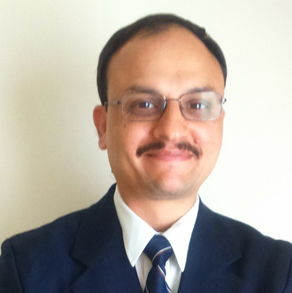 Vivek Mathur is Sr VP, Delivery with Indium Software. Established in 1999, Indium Software is a global Independent Software Testing Services Company with multi-domain focus, fostered by IP-led innovation. Vivek has 23 years of work experience, 18 in IT. He set up Quality Engineering & Testing organizations across product and service companies: Intelligroup, McAfee, and Altisource. He was an early member of Infosys IVS. He is passionate about building the stature of the testing community and has been active in the STeP-IN Forum for nearly 10 years. 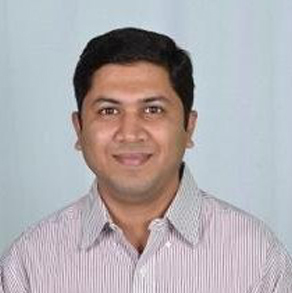 Dr. Yogananda Jeppu is a BE in Electronics and Communication, from Mangalore University, a Post Graduate in Missile Guidance and Controls from Pune University. He has a PhD in Reliability from Indian Institute of Technology Bombay. His doctoral thesis is on Certification of Safety Critical Control Systems using Model Based Techniques. He has been working in the field of Control System Design and Implementation, Simulation of Aerospace Systems, Verification and Validation for aircrafts and missiles for the past 28 years. He has several publications on Randomized Testing, Orthogonal Array Testing and Missile Guidance and Control. He has a US patent for “Software License Independent Image Generation”. He is a recipient of many awards notable are the Commendation Certificate for “Significant Contributions made to the Integrated Guided Missiles Programme”, and the “National Aerospace Laboratories Technology Shield for Outstanding Achievement in LCA Control Law Design, Certification and Successful Flight Tests”. 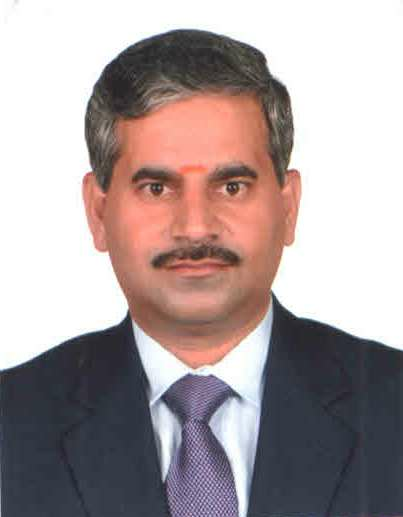 He has a mention in the Limca book of Records for his hobby – philately. He started his career in 1987, working on Missiles and Indian LCA programme with Defense R&D Organization. He is currently working in Honeywell Technology Solutions as Principal Systems Engineer. 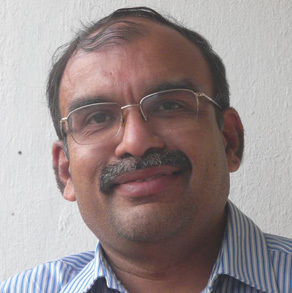 Dr. Nandakumar Ramakrishnan, a doctorate in Information Technology from Prescott University, UK works with COLRUYT- IT Consultancy India Private Limited as a Program Test Director and Accessibility Evangelist. He has over 16+ years of experience in Software Quality Engineering and Information Security working for startups as well as technology giants like eBay, Yahoo & Expedia. During his career, he has led pan-global test teams and functioned as individual contributor for various types of testing methodology, playing on various areas such as Test Delivery, Security Test Architectural Solution, Tool Development, Testing Automation Framework Design and Solution, Security Assessment and PCI-DSS & BS 7799 Compliance, Accessibility based on Section 508 and Cloud computing. 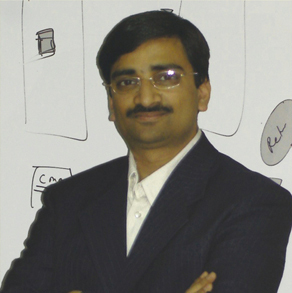 He is also expert in Agile, Scrum, Kanban, Lean & CMMi/TMMi and also introduced Security Assessment Scrum Process. He contributes as a Head of Technical Committee at the STeP-IN Forum. He also has been core reviewer for various STeP-IN Conference CFP from 2008 to 2016 on various themes on Testing, Agile, DevOps and Security. He was also Panelist for Global Accessibility Event. He also presented on various forum such as ISQT 2008, Silicon India Java Conference, Techshare, Tech-Gig &amp; STeP-IN Webinar Series. He has won eBay Quality Awards in H1 ,H2 2012 &amp; H1 2013, Hackathon Spot award, as well as two Yahoo! Odyssey awards for security &amp; innovation. 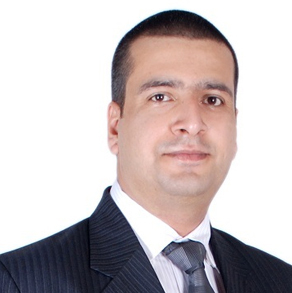 Nikhil Bhandari has more than 15+ years of experience in Test Engineering and Tools Development area. He is currently working as QA Manager at LITHIUM Technologies where he is heading the QA organization at their newly opened center in Bangalore. Previous to Lithium, he worked with VISA, where he led tools/framework team for Digital & Mobile group. His team built unified test automation framework for the dev & test engineers to simplify automation of business flows, increase productivity and define quality gates. Prior to that, Nikhil had multiple roles at INTUIT over 9+ years leading QA teams for TurboTax, Mint and QuickBooks Online. Before Intuit, Nikhil worked at Oracle, McAfee and Satyam. Nikhil has a Bachelor of Engineering degree and currently doing his Executive Management program from IIM Bangalore. Nikhil has presented papers in many conferences across the globe. 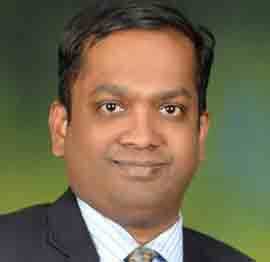 He is associated with STeP-IN in various roles for past 6+ years and is integral part of Tech Review Panel. Renu has overall 25 years of experience in leading IT Services Delivery, IT Outsourcing Governance, Infrastructure Services, and Business/IT Consulting including Solution and Technical Sales. She has covered Shared Delivery (Factory Model), Fixed Bid, Managed Services engagements, and transitions in her service delivery experience. Renu has led department of size ~4000 headcount (Contributing services revenue of $250M pa), and has built and led large accounts with annual revenue of $50-100M. Renu has led governance and spend optimization of a $400M portfolio for Citibank. In her roles with Capgemini Renu led a large Managed Testing Services contract in an outcome based model. Renu is currently heading Testing GSL sales transformation office. Renu has authored book “Software Testing” which was published with McGrawHill in 2003 and has seen 13 reprints so far, and this book is a text/recommended reading in many universities in India. The book has been recently revised and is under publication. Renu has been recipient of Testing thought leadership award in 2008 by PureTesting. In 2010, Renu was featured in “Women in Testing, All Stars”. Renu is Capgemini Global Testing thought leader featured on capgemini.com on “Managed Services” subject matter and Capgemini’s global Expert Connect program. Renu was recently conferred “Testing Leader of the Year 2015” award by Unicom’s India Testing League. Renu holds an MS (Mgmt) from Purdue University USA, MBA (Finance), and B Tech degree in Computer Science. She is an IBM Sr PM Certified with DPE/SM discipline, and holds ITIL V3, CAIIB, APICS, PMP and CSTE Certifications. Renu has served on STEP-In Steering committee for 2 years during 2010-12 and spearheaded initiative of benchmarking state of testing services in Indian IT industry – a joint initiative of STEP-IN with DQ. 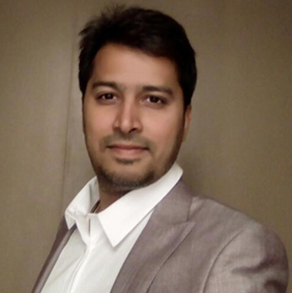 Rahul Verma is a serial testing entrepreneur from Bangalore. He is the Founder & CTO of Test Mile and Talent Reboot . He is the author of RahulVerma. Co-creator of CMAP certifications and one of the authors of ISTQB foundations. He is an advisor and researcher for SALT – School of Applied Learning in Testing. 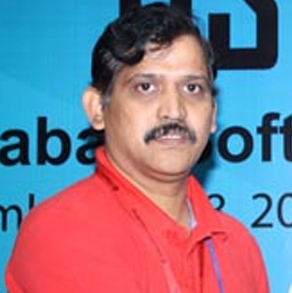 An awarded thought leader for his contributions to Indian testing community, he is known for his practical and unified view of software testing. His software testing experience includes test automation frameworks, agile testing, web security, Java & Python, design patterns and web performance testing. He has presented, published articles and educated thousands of testers in the said areas. Nagu has over twenty years of experience in the IT industry, primarily in Delivery Management, Competency Building, large programs management, and practice management. He is heading the testing practice at Hitachi Consulting’s India Center. Nagu’s core strengths are in Building strong teams, capability management, practice management and delivery management. Strong Resource Management, Project Management and Coordination expertise supported by high degree of communication and leadership skills. Specific to testing domain, his skills are in Building Test Automation Tools and Methodology specific to the project / product and Cost optimization by implementing right tools & techniques and continues process improvements. Prior to Hitachi Consulting (by acquisition of Sierra Atlantic), Nagu has worked in SQL Star international as Quality manager and Project Manager. Nagu has done his Masters in Computer Applications from India’s one of the premier colleges - Regional Engineering College – Trichy (now known as National Institute of Technology). Nagu was awarded the best people manager by Sierra Atlantic and he was the EC Chair for STeP-IN’s Hyderebad Chapter during 2013 -15. He is also associated with QAI’s STC as Regional Jury member. Smita works at Siemens Industry Software (I) Pvt .Ltd as an Associate Manager – System Test and Automation. Her overall experience of 19 years in IT industry expands to multiple profiles such as program management, release management, build and configuration management. She has handled various testing assignments including manual, performance and automation testing. In her past experience, she has been the Scrum-master for agile implementations. Apart from being an IT veteran, she takes keen interest in Travel, Photography and Theatre .She is a certified Ornithologist and feels her whistling skill takes her close to nature. 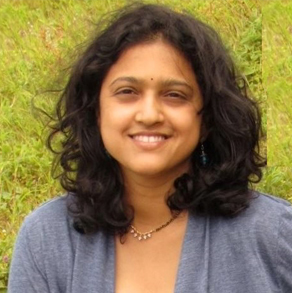 Smita takes pride in knowledge delivery, loves to do it and is skilled to teach Software topics. An avid life lover, Smita would delve into social assignments that make her happy and keep energized! 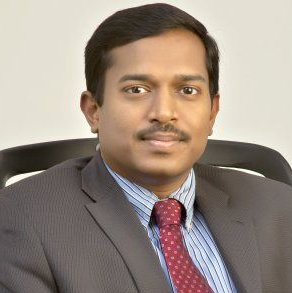 Padmanabhan V (Paddy) is a senior business leader who has built & managed several successful verticals business units globally enabling customers realize their technology & digital transformation vision. An engineer at heart Paddy has successfully applied his technology & domain expertise in building IP & solutions that has helped industries solve several of its key challenges and accelerated business growth. Paddy has worked across several verticals and industry domains such as Media , Entertainment , Hi-tech , Energy , Industrial focusing on Digital transformation , IOT , Digital marketing , Direct to consumer ecommerce platforms & Targeted recommendation engines. Paddy is currently heading the Energy , Industrial & Retail business unit at Harman connected services. In his current portfolio he is driving several smart city , smart grid & meters , connected cars , Home automation , Smart security & Industrial IOT programs that enables customers to build and launch real time data driven globally connected platforms delivering direct consumer engagement. Area of Expertise: a) Currently Responsible – Quality Engineering & Assurance services, globally and focused on Analytics, Big Data, Cloud, Mobility, Application Security, Information Security and Internet of Things. Development of Integrated Next Gen Automation frameworks, Innovative Open source Test Accelerators, Agile Solutions in Test Driven Development, Continuous Integration, Integrated Technology Transformational COEs. b) Earlier completed 25 years of Valuable experience with Wipro, had handled several leadership roles, in areas of High Availability Product Solutions Delivery Management, Test Automation, Program Management, Business Development, offering Product Engineering services for US, UK, Germany, Ireland, Japan and Apac. c) Handled multiple Accounts as Global Delivery Head, Received Customer delight levels ratings on Customer Satisfaction, Customer Experience Index, and Net Promoter Score consistently across Global Clients. d) Handled Enterprise Risk Management in Information Security, Enterprise Risk and Cyber security. e) Certified Six Sigma Green Belt: executed projects, successfully delivered Multiple High Quality Products with High Availability quality Releases, Increased the Quality of Deliverables & Test Effectiveness. Laurels & Awards: a) Won – Bell Northern Research President & CEO Canada award in 1997and 3 times Wipro President’s awards in 1993, 1996 and 2004. b) 2006: Business Excellence Award awarded by SVP Mr. Subramanyam of the Telecom Solutions Business. c) 2004: Telecom Excellence Award ‘Front Runner ’ in Optical BU, awarded by Dr A.L. Rao, President Telecom. d) 1999: Nortel Service Excellence Award from Mr. Peter Benedek, VP R&D Nortel, and Mr. Ramesh Emani, President Telecom Solutions –Wipro Technologies. e) 1997: Nortel Certificate of Merit Award from Mr. Greg Mumford, President and CEO of Broadband, Bell- Northern Research. Globally the first non-BNR employee to win this award. f) 1997:“Ambassador of Wipro“award from Mr .Diju Raha President Nortel R&D Outsourcing. g) 1996: ‘Winning Wipro Systems’ award from Mr. V Chandrasekaran, President Wipro Systems. h) 1995 : “ Delivery Excellence – USD 1000 award for contributions to OC48 /OC12 Automation i) 1993: Excellence award for innovation in the project from Wipro R&D Head. Contributions to Non Profit Organizations, Thought Leadership in building Next Gen Technology Community: a) Jury and Panel member for the EMC 2014: Cybersecurity and Proactive Risk Management. b) Technical Advisory Board Member & Speaker VTU 2014: Harnessing SMAC Technology Skills for employability. c) Innovation Panel member for the Horizon 2020 Emerging Technology Initiatives from European Universities. d) Developed Tech Papers on Next Gen FAST DATA, Next Gen Digital Telecom and FAST Automation. e) Jury and Advisory Board member for QAI- STC 2015, 14 & 13 International Software Testing Conferences. f) Keynote Speaker –Unicom summit -2015 Topic: Enter the future era of FAST DATA and FAST Automation. g) Keynote Speaker: Step-Auto 2015: Topic Design thinking and Critical thinking. How to be Quality Ambassadors for Creating the Next Gen Customer Experience and Business Efficiency. h) Keynote Speaker for QAI STC 2014: New Paradigm Shift -Decoding the needs & Skills in Disruptive Technologies. i) Keynote Speaker, Business Excellence 2014. Emerging needs, trends in building the Nextgen Global Enterprises. j) Program Chair & Panel member for ISQT 2014 : Business Value and Quality Engineering k) Speaker and Panel – Step-In 2014: The Paradigm Shift -Decoding the new Imperatives for the next gen Global CXOs. l) Chief Guest and speaker on KLE University 2014: TQM applied in education effectiveness with Nextgen Technologies. m) Invited Speaker: CXO Round table by Microsoft / QSIT 2013. The Team approach – Agile & Continuous Integration. Mohan Nellore is a seasoned technology leader in the software industry at various capacities of quality engineering. Based in Bengaluru, currently works with Visa as Director of Test Engineering. Prior to this role, he worked at product development companies like eBay, Yahoo! and Dell in his professional career spanning over 15 years. Mohan has a strong expertise in internet, e-commerce and online payment domains while skills include a whole stack of open source technologies. He is well known for evangelizing processes that result in transformational changes across the organization. Holds a Master’s degree in Software Engineering from BITS, Pilani and a bachelor’s degree in Telecommunications Engineering from Bangalore University. Also, Mohan has a long association with STeP-In Forum in the past through some of the flagship summit plenary talks. 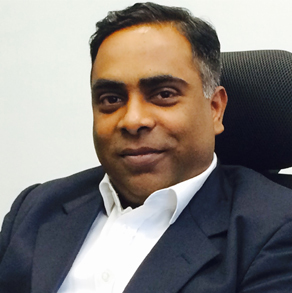 Sriraman Chakravarthy ex Director from Cisco , Founder & Director of a start up Metamorphic Networks P Ltd developing software solutions for Connected living with IOT / Cloud / Mobile infrastructure has over 30+ Years of experience on software development and Managing Global R&D Centres. He comes with Thirty plus years experience on cutting edge technologies, with proven experience in developing and commercializing technologies and products in Pay TV, STB, Cloud, Betting Games solution, CTI, Telecom, Wireless Technologies, Computer Networking & Network Management systems, DSP – Audio processing ,Device Driver and special Solutions for many Global customers. Sriraman is a Graduate in Physics and a Graduate in Engineering (Electronics and Communications) is also a Master in Business administration (Software Systems). He is also a Certified Board of Directors from Institute of Directors and Certified Scrum Master and Certified Product Owner from Scrum Alliance. He is also a Sahithya Sironmani in Sanskrit Language. He is also active member in IEEE and also Professor at Dayananda Sagar University mentoring budding entrepreneurs. He is married and has a daughter doing her MBBS (Medicine). His hobbies includes Music, Teaching and Mentoring students and budding entrepreneurs. 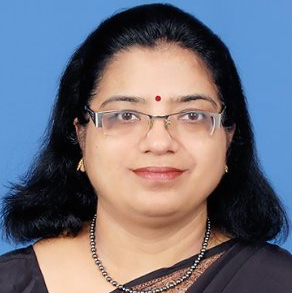 Kavitha Kadambi is General Manager, Strategic Programs at the CIO Office, Wipro. In this role, Kavitha runs large programs such as to adopt current best in class technologies to transform the Wipro landscape across infrastructure and applications and thus drive Go To Market solutions. Prior to joining Wipro in 2015, she was with OnMobile Global, where she played various roles. 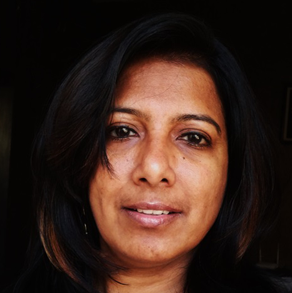 Kavitha was instrumental in setting up Information Systems which was crucial in scaling the organization across geographies, customers and product lines. She also headed the Data Products Unit for emerging markets, and had overall responsibility for product evolution, delivery and operations. She joined OnMobile as Head of Program Management and was responsible for all delivery across customers. Kavitha was with Infosys till 2006. In her last role as Group Program Manager, she anchored critical global programs across multiple customers in the telecom domain. 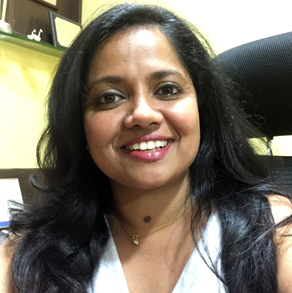 Kavitha has a Masters degree in Communications & Software Engg from Illinois Institute of Technology, Chicago, and a Bachelor in Engg from BMS College, Bangalore. She is passionate about technology led scale and transformation. Meridium Services and Labs Pvt Ltd.
A seasoned and passionate Testing professional having two decade plus experience in Telecom Testing – SW & HW, Manufacturing, R&D, Product and Services segments. Expert in Process implementation and transformation, business assurance, Corporate training & Mentoring. Has certified multiple hardware / software products & managed L2/L3 service delivery for Tier1 organizations across the globe. Currently Heading TCoE and DevOPS at Excelacom Technologies, Siruseri, Chennai. Prior to this had taken multiple roles at Logica( CGI), Impiger Technologies, Midas communications, Pentafour and Indchem. Sundar is a banking and financial information technology professional leads large global teams. Sundar specialises in software quality and is focused on enhancing customer experience. Sundar joined Barclays Technology Center, India in its inception and was instrumental in setting up its testing practice from 2007. Under his stewardship, Sundar has matured a world class testing CoE which delivers quality with agility and innovation. Currently he heads the cards testing globally. Sundar has a track record of successful delivery of testing projects for banks and financial institutions in USA, Europe, Asia Pacific and for global 500 financial organisations such as GE, Citigroup, Standard Chartered Bank, Wipro, CNA and State Bank of India. 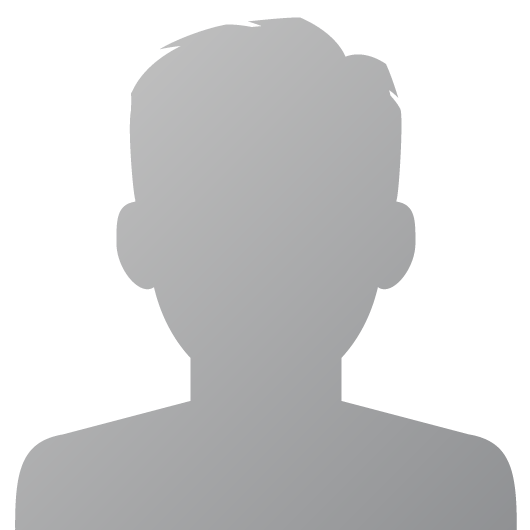 He is very passionate about QA and a keen contributor to the IT industry and partcipates in industry forums. Poonam Jain, Manager, Tieto Software Technologies Limited is leading the Testing Process CoE where her responsibilities involve consulting, defining, optimizing, implementing efficient and effective testing processes, software measurement and process improvement programs within Tieto and Client organisations. She has over 15 years of professional experience in Programme, Project Management and Consulting Client organizations in software measurement, benchmarking software productivity, development methodologies and process improvement using Lean /Agile Principles. She is also an international consultant and instructor in the areas of estimation, lean ,agile. She is Associate Certified Coach from International Coach Federation, SAFe Agilist , Agile Coach ,Certified Lean Six Sigma Green Belt, Certified Internal Auditor ISO 9001:2008 by DNV and Cosmic Function Points Entry Level Certificate Holder. 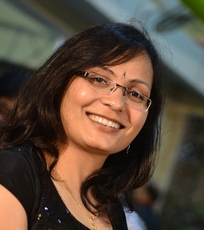 Yogita currently leads the Testing business unit at Mindfire Solutions, India. In this role she focuses at business growth as well as managing some of their largest and strategic client accounts. She has more than 15 years of professional experience primarily in software testing and she constantly guides her testing team to acquire new skills and technically challenging projects. Her passion for testing has made her contribute to the international QA community through various articles and presentations. She actively participates in initiatives that aim to bring about changes in the Indian testing scenario. Have a proven track record & rich experience of over 25 years in IT Industry including successful role-playing for more than 13 years, at Senior Management positions, handling clients globally. Have been instrumental in getting world class quality certifications for R Systems like ISO 9001:2008, ISO 27001, CMMI Level 5 & PCCM Level 5. Process maturity have helped organization in customer retention & getting repeat business. Akash has an overall industry experience of 17+ years where he has worked in development / maintenance and testing assignments. He has worked in varied domains across Manufacturing (Steel), Cost Accounting, Banking, Healthcare (HIPAA), Insurance, Mortgages & Reverse Mortgages, Retail & Logistics and Hospitality. He has versatile global delivery experience and customer management acumen in QA / Testing including experience in areas of business analysis, consulting, software development, Quality Assurance, and Testing. 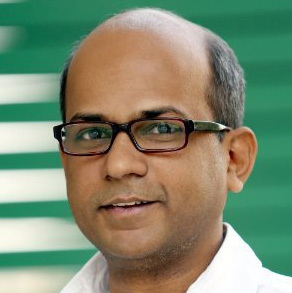 Satish is a Test Engineering Manager, Agile Evangelist, Design Thinker, and Cloud Transformation Consultant with 15 years of diverse experience in brining products to market. He is passionate about solving market and business problems by conceptualizing and building user-centric products that delight customers while helping PEOPLE (individuals, teams and organizations) to realize their true potential. He has excellent professional track record and niche skill set ranging from Product Innovation & Systems Thinking, User Experience Design & New Product Development, Lean Start-ups & Agile Organizations. Published couple of technical papers in international conferences & events. At Present working as Head of Software Quality with Homeshop18(E-commerce). In past worked with companies like Kronos, Pitney Bowes, Wipro, SIEMENS, British Telecom-UK and Lumenare Networks-USA. He holds master’s degree in computers from NIT, Allahabad (formally REC). Satish enjoys playing Golf & Squash.